Patrick Devine is an experienced trial attorney who focuses his practice in the areas of professional liability defense, business litigation, and commercial general liability defense, including construction claims. His professional liability practice has centered on the defense of physicians, attorneys, accountants, architects, realtors and insurance agents against malpractice and E&O claims. Patrick's business litigation practice has focused on commercial disputes and surety and fidelity claims. In the course of his practice, Patrick has defended cases arising out of construction accidents and defects, trucking accidents, fire losses, hotel losses, theater losses, premises accidents, transportation incidents and other serious accidents. He also assists insurance clients with examinations under oath (EUO), special investigation unit (SIU) matters and first party and subrogation claims, as well as those involving allegations of bad faith and unfair claims practices. Patrick's representative clients include the Indiana Department of Insurance, State Auto, State Farm, Acuity, CNA, Chubb, Federal, XL Insurance, Hanover, The Hartford, Those Certain Underwriters at Lloyd's, London, BoatUS and others. He has also represented the State of Indiana and other government entities and non-profit corporations. 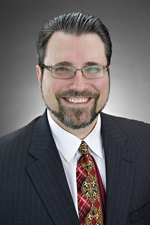 Patrick joined Hinshaw & Culbertson LLP in August 2005. Previously, he was a trial attorney with Eberhard & Gastineau, P.C., where he was recruited to open the firm's Mishawaka, Indiana, office in 2004. He was also a trial attorney for four years with the Law Offices of Citizens Insurance, where he was responsible for high exposure/excess cases, and was the recipient of their Citizens/Allmerica Exceptional Performance Award in 2001. During his tenure at Citizens' Mishawaka, Indiana office, Patrick had responsibility for supervising the office, including managing staff and mentoring junior attorneys. A selection of Patrick's reported decisions are below. Click on the link to see him argue each case. Chaffins v. Kauffman, 995 N.E.2d 707 (Ind. Ct. App. 2013). Breeden v. Hoffmeister-Repp, 941 N.E.2d 1045 (Ind. Ct. App. 2010). Senior advisor to the Anna C. Gamble Charitable Foundation, a private charitable trust. Involved in assisting the trust with selecting recipients for charitable gifts.